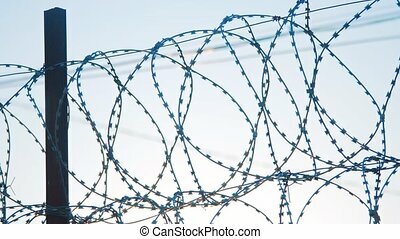 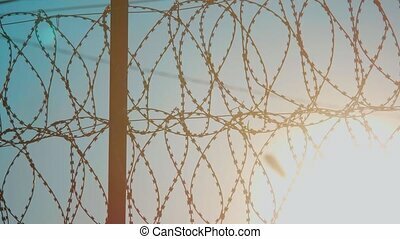 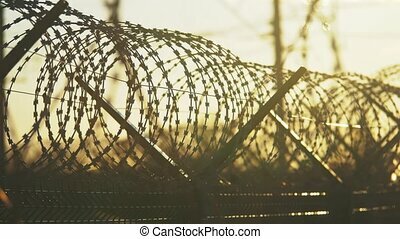 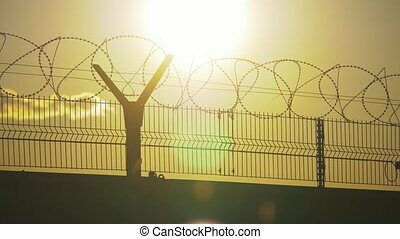 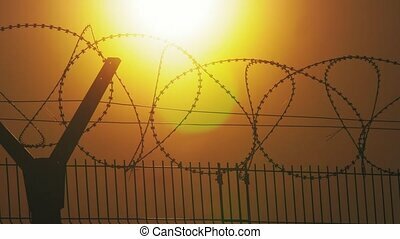 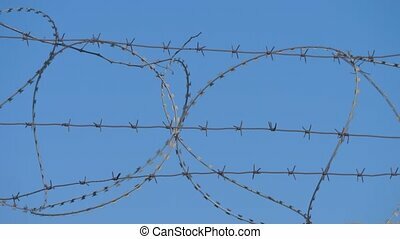 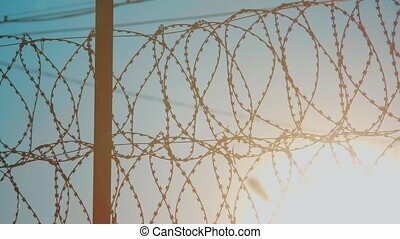 Fence prison closed area strict regime silhouette barbed wire. 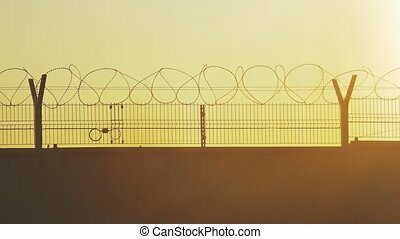 illegal immigration fence from refugees. 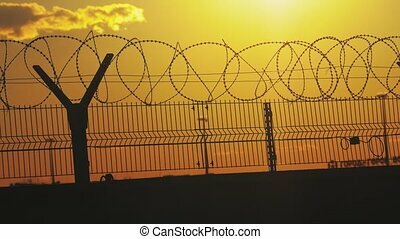 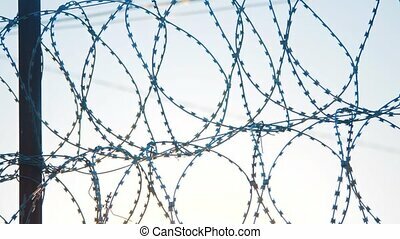 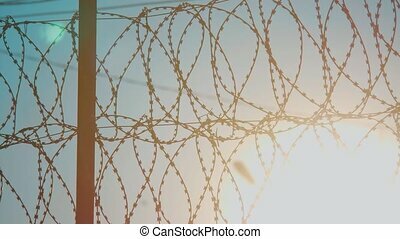 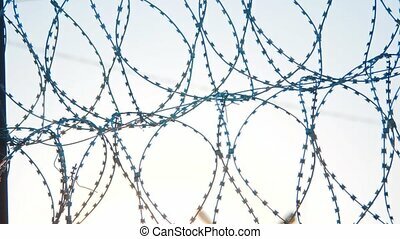 illegal immigration concept prison prison fence lifestyle.